Most individuals shopping for a home will determine how much they can afford before beginning a property search. It’s the sensible thing to do. This could include back-of-the-envelope calculations, online calculators, and even a pre-approval letter from a bank or lender to determine exactly what’s within their budget. And while it’s very important to know this number beforehand (and also to know if you can actually qualify for a mortgage! ), it doesn’t necessarily mean it’s the number you should shoot for. If anything, I’d aim a lot lower. Think about it this way. Imagine every time you set out to buy something, you had someone calculate the most you could spend for said item. So if it was an engagement ring and someone looked at your income and finances and said you could spend $10,000. Or you were told you had $30,000 to spend on a car. Or $200 for a pair of designer jeans. Sure, it’s nice to set a budget, but wouldn’t you want the eventual price tag to be a lot lower than this maximum number? At the end of the day, just because you have the money doesn’t mean you should spend it, especially when it comes to buying a house. I say this because homes are notorious for having hidden costs and expensive upkeep. It’s pretty standard for something to break in the first year of owning a home, and it may not be covered by a home warranty. Additionally, it’s quite common for homeowners to upgrade their homes shortly after purchase, whether it’s putting in new carpet and painting the walls, or completing major renovations. I honestly can’t remember the last time someone bought a home and spent absolutely nothing. At minimum they purchased new furniture, or a giant flat screen TV, even if it was a brand new home. In any case, money will be spent on your home, whether you believe it or not. And the more you spend on your home purchase, the less you’ll have in the bank to deal with these unforeseen costs. This can be a major problem if you deplete both your savings for the down payment and a good chunk of your paycheck each month to pay the mortgage. Unfortunately, the more you spend on a home, the fewer assets you’ll be left with, and the less you’ll be able to set aside in savings each month to replenish your accounts. This can be a recipe for disaster. The even scarier part is that most homeowners have a number in mind, and often go over it. So if your budget is say $250,000, it’s not uncommon for that number to rise to $275,000 or even $300,000 once you discover the nicer homes cost that much more. The issue is compounded today by the lack of inventory, which means homes that are listed for a certain price often sell for more than asking. In other words, if you’re searching for homes at $250,000 or lower, there’s a good chance you’ll be over budget when all is said and done if you want your offer accepted. Complicating this even further is the fact that the higher you go beyond your budget, the less you’ll be able to put down, which could make your offer less attractive. Or simply force you to offer more. The low mortgage rates currently available may also trick people into thinking they can buy more house. Just don’t forget the larger down payment, or the costly taxes and insurance that also go into the monthly payment. That being said, there’s a lot of comfort in knowing you purchased something that is truly within your budget, not just what you can afford by some lender’s measure. A number you are truly comfortable with will allow you to sleep at night and make it a lot easier to sock away money for future expenses, which as I mentioned are unavoidable. Conversely, if you end up being house poor, you might regret your decision to buy and struggle every month to makes ends meet. That will make it awfully difficult to enjoy your new home. I make 4350 a month and would like to purchase a 250,000 new construction. My husband also works and makes more than me but wont be on the loan so we will be able to afford the mortgage payment. I have no debt other than credit cards that will be paid off by the time I apply. We also own a house that we pay 1000 a month and will be selling. My scores are mid 600 ‘ s – high 600’s. Do you think that I can get approved for this loan? I love your site btw. It’s the most informative that I have seen so far. It might be tight because your mortgage payment plus taxes/insurance could push your DTI up pretty high, especially with that existing mortgage, though if you sell that could help. However, it depends what else you’ve got as a monthly liability. 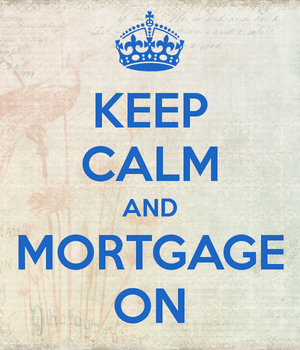 But the best way to find out for sure is to get a proper pre-approval from a broker/lender beforehand. Good luck!